Demonstrate leadership in Aboriginal Relations. Join the growing number of Canadian companies who recognize the importance of Aboriginal participation in Canada’s economy by becoming PAR Certified. 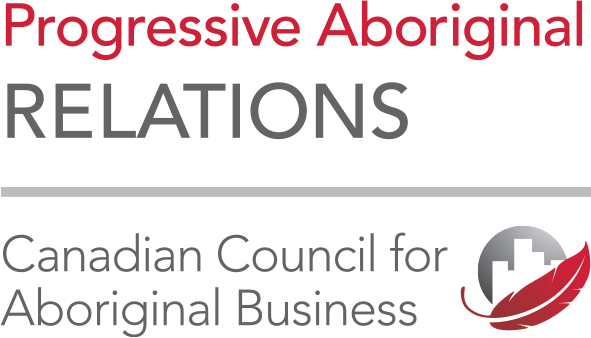 Progressive Aboriginal Relations (PAR) is a certification program that confirms corporate performance in Aboriginal relations at the Bronze, Silver or Gold level. Certified companies promote their level with a PAR logo signaling to communities that they are good business partners; great places to work, and are committed to prosperity in Aboriginal communities. PAR is the only Corporate Social Responsibility program with an emphasis on Aboriginal Relations. For Aboriginal communities: Share of economic opportunities. The independent external verification and juried review of corporate performance in Aboriginal relations provides a high-level of assurance that a certified company would be a good partner, a great place to work, and is committed to the prosperity of Aboriginal communities, businesses, and individuals. The verification also includes interviews with Aboriginal stakeholders, ensuring that the voice of the Aboriginal community is considered in the jury’s deliberations and assignment of a PAR certification. For PAR companies: Establish a reputation in Corporate Social Responsibility. The PAR certification program validates performance and confirms company commitment, success, and impact. Participation in PAR ensures that Aboriginal relations is addressed as part of a company’s overall corporate social responsibility strategy and considered in annual planning and at the strategic level. Participation at the PAR Committed level requires a company to submit one year of reports into the online tool for review by a qualified PAR verifier for three consecutive years, maximum. A third party verifier will provide the company with high-level feedback. This service is at the company’s cost and is not a benefit of CCAB membership. The high-level feedback is intended to highlight areas of opportunity for the company and used to supplement other planning practices in preparation for Certification. PAR Committed participation indicates our commitment to continual improvement in Aboriginal relations and intention to undergo external verification of our performance in the future. Companies enrolled at the PAR Committed level may participate at this level for a maximum of three consecutive years during the entire term of their CCAB membership. After the three year period ending in the month of the company’s first review, the company must progress to the PAR Certification level and cease using the PAR Committed logo in any promotion or external or internal communications. If a company opts to not pursue the external verification (PAR Certified), it may continue in the program as a PAR Participant. The three year time limit and annual review are in place at this level to ensure that companies are progressing towards certification, addressing the high-level feedback provided to them. PAR Committed program participants can request the first PAR Committed level review at any time during a calendar year. Companies may opt to progress to the certified level after one or two year’s participation at the Committed level. All CCAB members in good standing are eligible to participate at the PAR Certification level. There is no requirement that companies first participate at either of the two previously described levels, however, Certification requires three years of information. Certification and authorization to use a PAR bronze, silver or gold logo requires independent external verification at the company’s cost, and review by a PAR Jury. The Jury assigns certification at the bronze, silver or gold level. After assignment of a standing, companies may make extensive use of the logo associated with their performance in any internal or external communications. PAR Certified companies must recertify every three years, providing the three previous years’ information online for the verifier’s review. PAR Certified companies are encouraged to report online in each non-certifying year. Companies opting to not seek recertification are to cease using the assigned PAR logo and referencing their participation in PAR in external or internal communications at the end of three years, which will generally be the date of official recognition at the Vancouver PAR gala or the date that the company was notified of its PAR standing by the PAR Jury. Companies may seek certification at any point in a calendar year but the certification will become effective upon notice from the PAR Jury of the certification level granted. Participants seeking formal recognition at the annual PAR gala must ensure that their completed online application is submitted by April 1st in order to allow sufficient time for Jury deliberations. It is often said that “what gets measured, gets done”. While companies seeking PAR certification report on quantifiable measures, the program and the verification process acknowledge that strong relationships are a key to sustainability and progressive improvement in Aboriginal relations. The PAR certification recognizes the value of relationships and the diversity of opportunities and challenges that face companies that are committed to the Aboriginal community. PAR verifies corporate initiatives and outcomes in four key performance areas. Leadership Actions are defined as actions taken by leaders of the organization to reinforce an organizational focus on Aboriginal relations. Such actions have an impact in achieving and sustaining good results in all PAR Drivers. These actions include setting and cascading a clear commitment and policy, identifying and communicating with the Communities of Interest, scheduling self-assessment exercises against PAR Criteria to review status, and applying a structure to drive and help sustain the commitment to positive Aboriginal relations across the organization. Employment is defined as the commitment of resources (time and money) to achieving equitable representation of Aboriginal persons in the workplace. This involves recruiting and retaining Aboriginal talent, supporting their career development and advancement, and promoting mobility of Aboriginal employees throughout employment sectors and levels. This Driver also includes supporting cross-cultural awareness and/or cultural sensitivity training, and providing training and support for existing or prospective Aboriginal employees through speci c programs or actions. Business development is defined as the commitment of resources (time and money) to the development of business relationships with Aboriginal-owned businesses. These activities are sustained through mutual benefit. Capacity building and mentorship also directly relate to sustaining, enhancing or developing future business development. The Community Relationships Driver is broken out into two components: engagement and support. Engagement is defined as providing time and resources to develop and sustain positive and progressive relationships with Aboriginal communities, groups and stakeholders. Engagement can include communi- cations, information sharing, involvement in events and activities, and partnerships. Support is defined as a commitment to develop positive and progressive relationships with Aboriginal communities, groups and stakeholders by providing nancial and/or in-kind support. These components work together to nurture and sustain positive and progressive relationships. Submit one year of reports. 1 year reporting period: must recertify every year for a maximum of 3 years then move to certified level. Company can use Committed Logo upon signing participation agreement. Submit three years of reports. 3 year reporting period; must recertify every 3 years. Must undergo verification by independent verifier. Jury Evaluation at Bronze, Silver, Gold. Deadline: April 1st every year. Company can use designated Bronze, Silver or Gold Logo after the Jury Evaluation. Want to learn more about PAR or become a CCAB Member? Please visit www.ccab.com for more information or contact the CCAB office in Toronto at 416-961-8663. Contact the CCAB office to obtain login instructions for the PAR Online Tool at 416-961-8663.